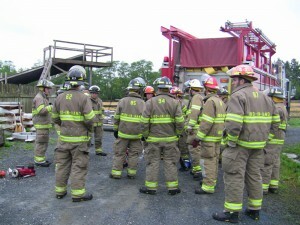 As firefighting techniques advance and building materials and codes change, continual training has become a top priority for the Fire Company. 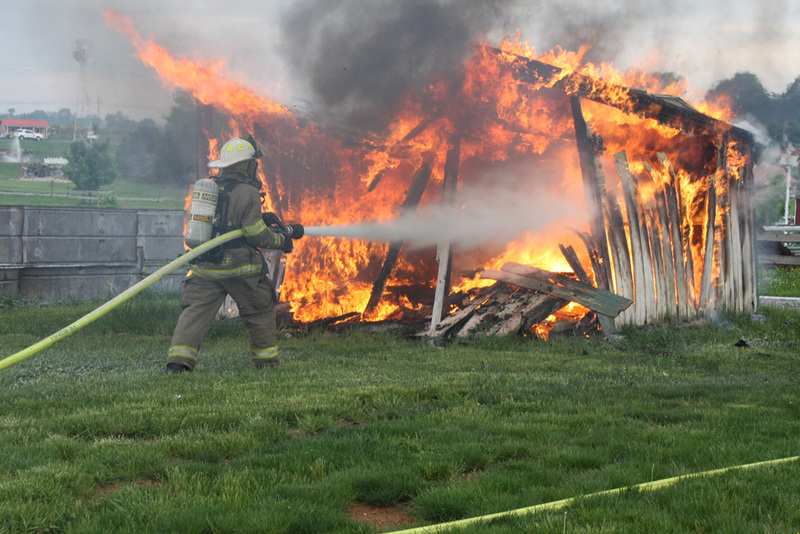 Unknown to most of the general public are the countless hours firefighters spend acquiring skills and preparing themselves for the different scenarios they encounter at a fire or at other emergency responses. It is an incredible commitment. 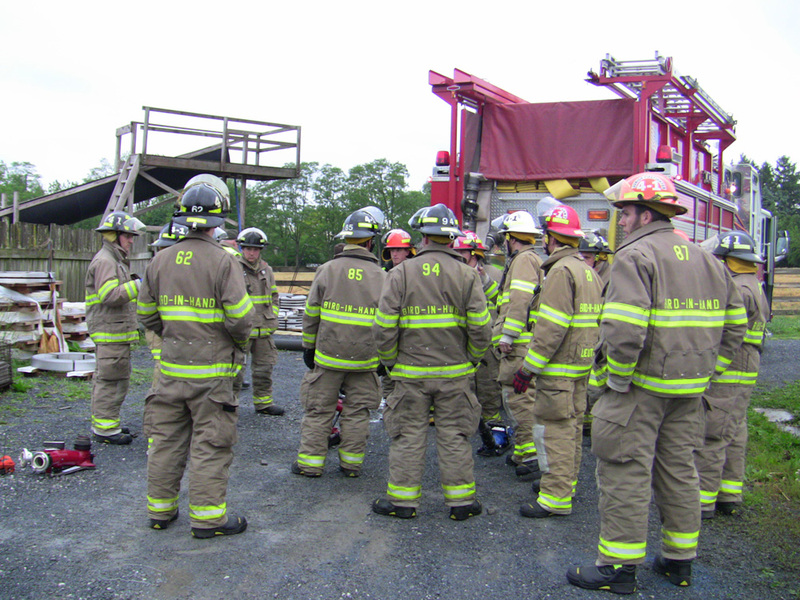 For example, a regular training course such as Ropes and Rigging or Hazardous Materials requires 16 hours in one week: four-hour sessions on Tuesday and Thursday evenings and one session on Saturday morning. 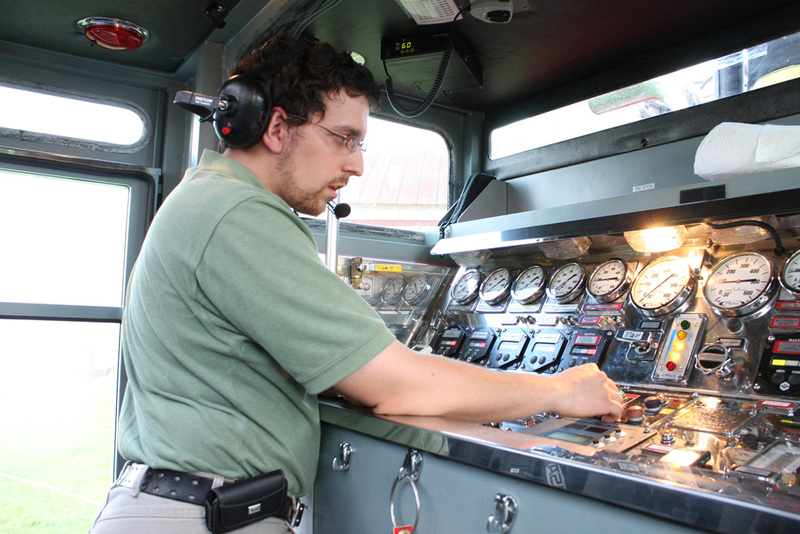 The list of topics covered in the training sessions is extensive and there are topics for beginners to the very advanced and specialized personnel. 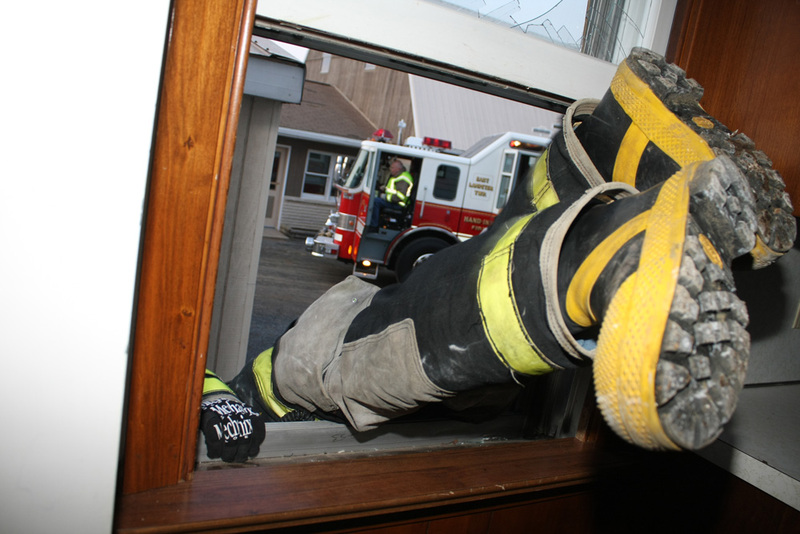 Some of the training topics are Confined Space, Fire Behavior, Structural Collapse, Vehicle Rescue, Fire Attack, Pump Operations, Arson Detection, and Rapid Intervention Team Operations. According to 2010 Fire Chief Lonnie Kauffman, 75% of the trainings take place at the fire hall or in Zone 4. 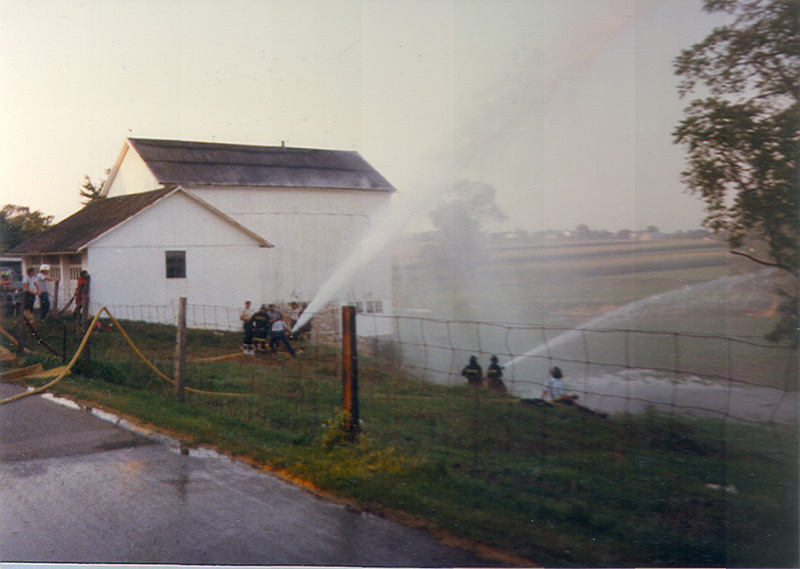 The Chief and Fire Company officers schedule the in-house instructions and either local firefighters or State Fire Academy teachers instruct the sessions. A chief officer teaches exterior fire attack using compressed air foam on a controlled burn. 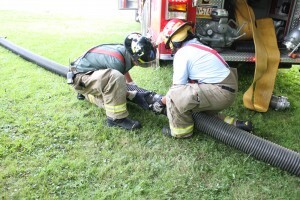 Two young firefighters learning to quickly couple suction hose. A new engineer learns the intricacies of pumping large quantities of water through multiple hoses. 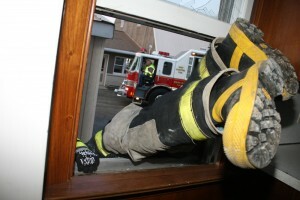 A firefighter practices an emergency bailout through a window.